#879 Cannot connect to the application installation source. Internet resource is not available in your PC. Please try to open https://demo.ucp.kaspersky-labs.com/distr//mlg-INT/kpmwin/9.0.2.636/ in Internet Explorer for check it. Hello, demo.ucp.kaspersky-labs.com block site my internet provider. I am sorry, but your internet provider block the application installation source. 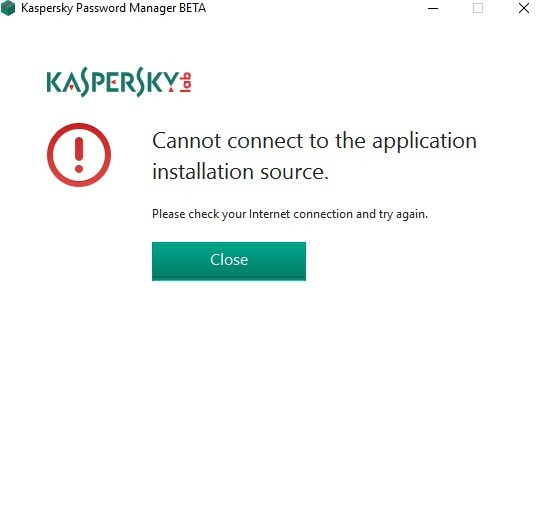 You can use Kaspersky VPN Secure Connection for resolve the problem.